As we celebrate Aracari’s 20th anniversary, Danielle went to meet and chat with another important piece in the Aracari jigsaw puzzle – John Alfredo Davis Benavides – one of Aracari’s top Peru specialists offering insider experiences in Lima as part of our ‘Into the Past’ city tours. A name interwoven in Lima’s history. 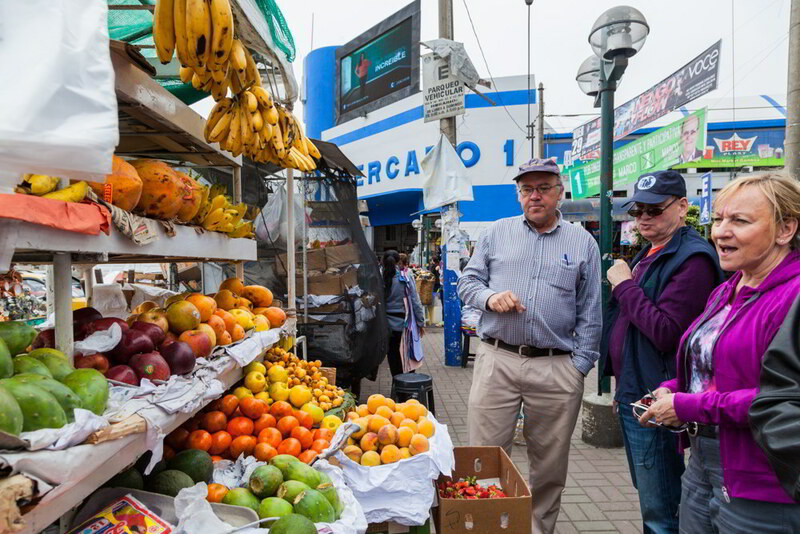 As John Alfredo takes you around Lima he modestly mentions his family’s role in the development of the city – buildings constructed by a great uncle, street names bearing his name, and more. The son of two prominent artists, the creative gene clearly runs strong. John Alfredo studied Fine Art and is a designer and artist by trade with a lifelong interest in the revival and promotion of Peruvian folk art and textiles. 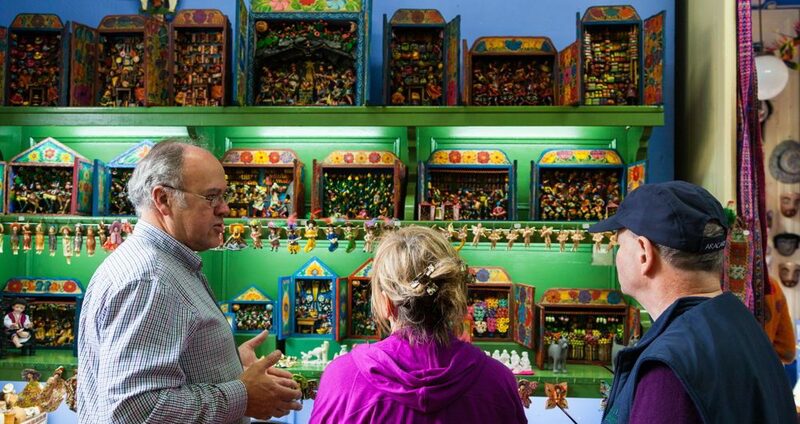 He has curated many exhibitions and written countless books and articles about the preservation of Andean folk art. So as someone interested in Peruvian art and history, I was very much looking forward to meeting him. 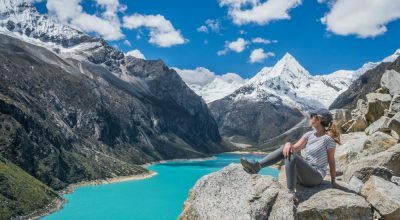 Like many of the people in the Aracari family, John Alfredo starts by telling me that he met Marisol through a mutual friend – Adrianna von Hagen, who is the owner of Kentitambo B&B in Chachapoyas and co-director of the Leymebamba museum. 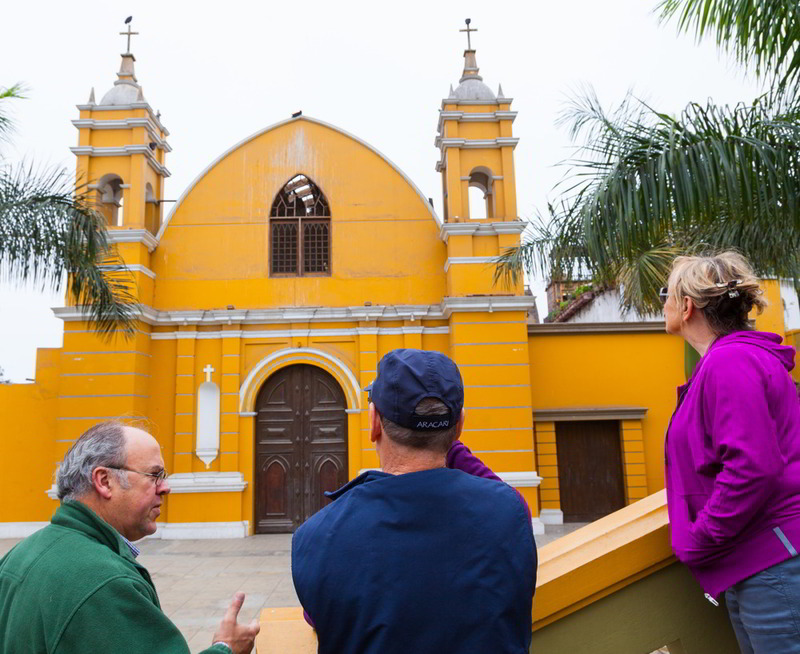 I know from Marisol’s version of the story that it was quickly apparent that John Alfredo’s extensive knowledge and fascinating anecdotes and perspectives on Lima would intrigue Aracari guests. 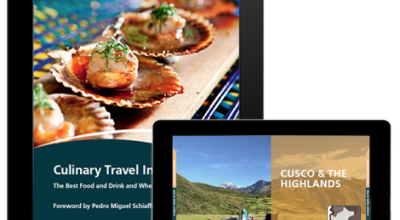 Described by many as a walking encyclopedia of Lima, his knowledge spans many disciplines including art, history, geography, culture, food and more, offering a truly holistic perspective of Lima. In the words of an Aracari client: “John Alfredo is brilliant, intelligent and communicates his wealth of knowledge effortlessly”. 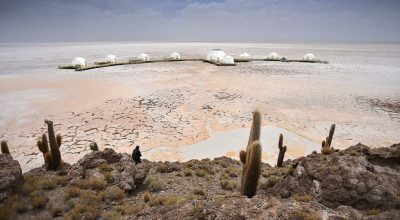 While his knowledge base is extremely broad, for any visitors to Peru with an interest in folk art, John Alfredo is the person to meet. 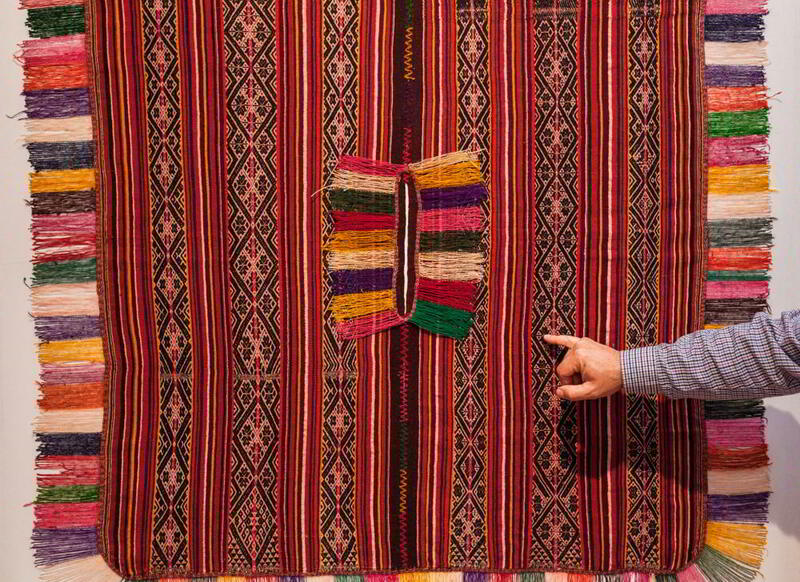 We had a fascinating discussion about Andean textiles and the impact that Spanish colonialism had on the production and preservation of traditional techniques. John Alfredo’s impressive list of friends and contacts also makes for an interesting visit for Aracari guests, often arranging exclusive access visits with some of his personal contacts. John Alfredo also facilitates special visits to the hidden treasure trove of another personal friend, Mari Solari and her exquisite arts and crafts shop, Las Pallas, along with her private collection. 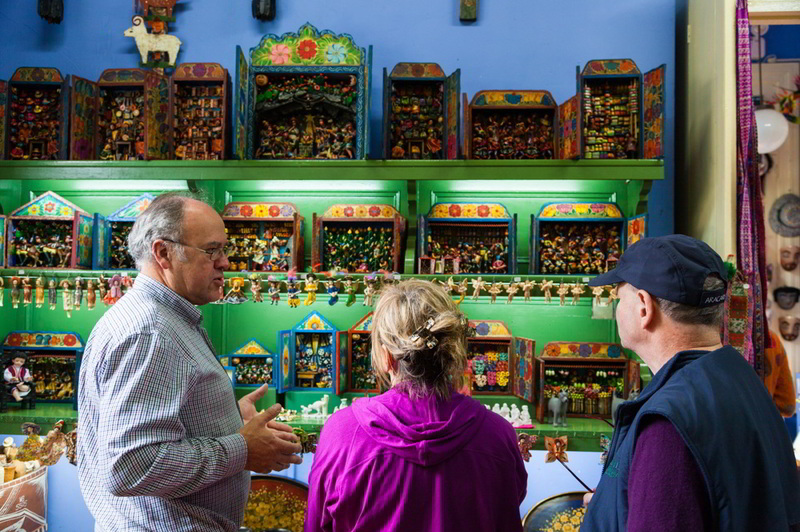 His own shop Kuntur Huasi, located in a quiet Miraflores side street is well worth a visit for high quality gifts from Peru with its carefully curated collection of textiles, crafts, jewellery and more. He goes on to tell me that the visits are as interesting for him as they are for the guests. He loves the conversations with clients, making comparisons with the places they come from, and sharing ideas and knowledge.